The Yankees gutted out a 5-4 victory over the Rays tonight with the help of game-tying homers by Mark Teixeira and Nick Swisher as well as a game-winning homer by Robinson Cano in the ninth. Best of All: A HUGE win to hold onto sole possession of first place in the AL East. This game had a little Yankees-Red Sox intensity too. Just a well-played, exciting game to watch. Cano was quite a sight tonight, slugging two doubles and a homer. If he starts getting hotter than he already has been all year, it’s trouble for AL pitchers. David Robertson gets a big shout out from me as well tonight. He pitched a 1-2-3 eighth inning, ending it with a devastating breaking ball to who else but Matt Joyce, the Ray who hit the game-winning homer Friday night and the would-be game-winner in the sixth tonight. As far as I’m concerned, D-Rob is the eighth inning guy ahead of Joba Chamberlain AND newly acquired Kerry Wood until he shows ineffectiveness. Worst of All: Alex Rodriguez didn’t hit No. 600 and Lance Berkman had a rough, 0-for-4 start to his Yankee career. That is all. Coming Up: The rubber match is set for Sunday afternoon with CC Sabathia on the mound. Lance Berkman was the first to tell the world he’ll be hitting second in the Yankees lineup in an interview on MLB Network. I originally expected him to hit sixth, keeping Nick Swisher in the No. 2 spot that he’s found comfort in, but I guess Joe Girardi has a little more respect for Berkman, 34, than I do. Here’s the new-look lineup; Berkman essentially takes Nick Johnson’s spot and Jorge Posada takes a full day off. Do you agree with Girardi moving down the hot Swisher to make room for Berkman? I’m surprised he said he could be “great.” Wood hasn’t been great as a reliever since 2008, but Heyman is a safe guy to believe. Wood was NOT one of the top relievers available at this trade deadline — Joakim Soria, Scott Downs and Matt Capps were — but the Yankees were on Soria’s no-trade list and the asking prices for Downs and Capps were too high. The Yankees suffered a tough 3-2 defeat in Tampa, as Phil Hughes watched his 2-0 lead disappear when he allowed a three-run homer to Matt Joyce in the sixth inning. The two Yankee runs were scored by the first two batters of the game, as Nick Swisher slugged his 19th homer of the year. Meanwhile, Alex Rodriguez is still stuck on 16 for the year and 599 for his career. The Lance Berkman deal will be announced later today and the Yankees will likely send reliever Mark Melancon and infielder Jimmy Paredes to the Astros. After the loss to the Rays Brian Cashman completed another deal, acquiring outfielder Austin Kearns from the Indians for a player to be named later and cash considerations. Here are Kearns’ career stats courtesy of Baseball-Reference. Multiple reports swelled in around 4 p.m. today indicating the Yankees will net Astros switch-hitting first baseman/DH Lance Berkman before tomorrow’s trade deadline. The deal isn’t final yet; money is still being discussed. The Yankees will be sending non-prospect minor leaguers in return, according to Ken Davidoff. I’d assume that means no Jesus Montero or Andrew Brackman. The 34-year-old is definitely past his prime, but he’s still got a little life left in his bat. Here are his career stats courtesy of Baseball-Reference. One column to pay attention to is his OBP. Despite a major decline in BA, his OBP has remained quite high. Daily news reporter Jesse Spector compared Berkman to a switch-hitting Nick Johnson. Hard to disagree with that. As far as I’m concerned, he fits perfectly into the lineup at the DH and can spell Mark Teixeira when necessary. I like the move, just as long as the Yankees don’t give away any minor leaguers whom I really like. Yankees-Rays series preview: Battle of the Titans! If Alex Rodriguez was waiting for a good time to break into the 600s, this would be the weekend to do it. A-Rod and the first-place Yanks will face some of the toughest pitching in the league this weekend, as they take on the Tampa Bay Rays at Tropicana Field. The Rays held a share of the division lead through June 19, but the Yankees sped past them at the end of the month and have used an 18-6 run in July to maintain a two-game lead. The Red Sox haven’t been able to keep pace and have drifted to 7.5 games behind, making the AL East a two-team race until further notice. The Yankees started the second half with a series win over the Rays to tie the season series at 4. After this weekend, these two teams meet twice more at each other’s homes in the middle of September. Yankees: Alex Rodriguez. He’s still sitting on 599 homers. There’s a reason all three games this weekend at the Trop are sold out. Rays: Carlos Pena. A .216 hitter for the year who is hitting .304/.429/.696 with three homers and eight RBIs over his last seven games scares me. That man is Carlos Pena. The Rays are winners of their last six, but the only way they can take their spot atop the East back is with a sweep. With the Yankees’ three top starters going this weekend, I don’t foresee that happening. But I will give the Rays the benefit of the doubt because Mr. Garza is coming off his no-hitter. Rays take two out of three, most likely tonight and tomorrow. “Adam Dunn to somewhere the American League” seems to be the biggest rumor left in the trade deadline now that Roy Oswalt has finally found a new home. The worst part about being a blogger during the final week of the trade deadline is dealing with conflicting reports. Last night, ESPN’s Buster Olney, perhaps the most credible baseball reporter on the planet, listed the Yankees second behind the Rays as a possible landing point for Dunn last night on Baseball Tonight and then again on Sports Center. One reporter will be dead right and the other will be dead wrong. I’m not going to tell you who to believe; all I can do is let you know there are in fact conflicting reports. Calling All Yankees Fans: For the sake of debate, let’s assume Olney is right. Do you want Dunn in pinstripes? I’ve read hundreds of responses already — from two threads I started on Yankees forums, to RAB’s post on Dunn — still, I’m not entirely positive on how I feel about adding Dunn to the Yankees’ already powerful lineup. So please, somebody convince me why the Yankees should or should not add Dunn at the deadline (in the comments below, on Facebook, on Twitter, or shoot me an email). Following an 8-0 blowout yesterday, the Yankees clinched a series victory against the Indians tonight with an 11-4 win. The offense broke out in the seventh with a seven-run rally, which was more than enough support for spot starter Dustin Moseley. Best of All: Moseley pitched six innings of one-run ball to earn the victory and all but sure up the next spot start in place of Andy Pettitte. Worst of All: Alex Rodriguez is still stuck on 599. He had two opportunities with the bases loaded late tonight, but couldn’t come up with a granny. However, he did drive in his 83rd, 84th and 85th runs of the season. Coming Up: The Yankees head down to Tampa this weekend for a big series with the Rays, who most consider the second-best team in baseball. Check back before the game Friday night for a series preview. Guess who’s 13-6 with a 3.21 ERA for the Twins? OK, the headline gave it away, but would you have ever guessed that without the headline? 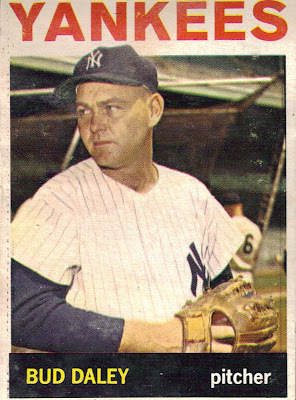 Here’s a guy who, in his prime age, made 26 starts for the Yankees over four season at the price of $40 million. In those starts he went 9-8 with a 5.00 ERA. Can you believe it? Pavano practically added nothing to the Yankees in four years, and now he’s thriving for a team on the verge of taking control of the AL Central. What makes me even more sick — and I know I’m getting a little ahead of myself here — is that there’s a chance the Yankees will face him in the first round of the playoffs. If he beats them, I don’t know what I’ll do. But it probably won’t be good for my health. 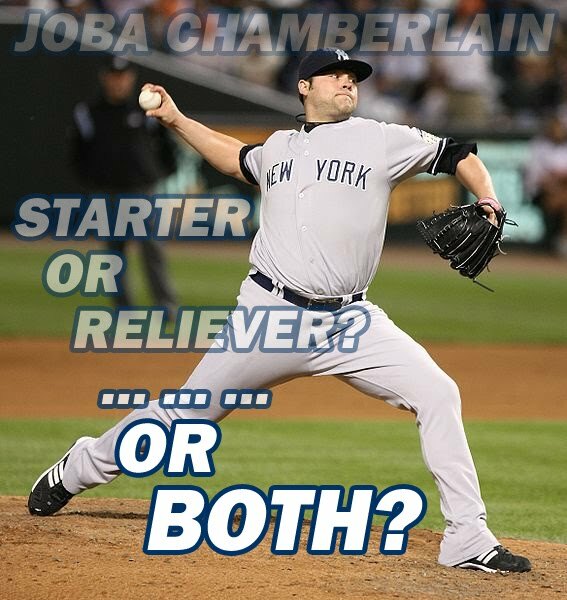 I finally figured out the Joba conundrum! “Now, if you just took a second or two to look at my track record, you’d see I’m more than qualified to be a starter. In fact, I also think I’m good enough to be a closer — at the same time. No, I’m not having a great year as the setup guy, and I didn’t give you a great year as a starter last year. But that’s just it, I was only a starter! And this year, I’m only a reliever! I think Chubby’s kinda got a point! Maybe not closing while starting, like he suggests, but splitting time between the rotation and the bullpen during the year. Hey, it worked in 2008: 2.76 ERA as a starter and 2.31 ERA as a reliever. And it also worked in 2007! : 2.45 ERA as a starter (in the minors) and 0.38 ERA as a reliever. Now look at the past two years. In 2009 he was only a starter (excluding the last game of the year). Most would call that season a failure (4.75 ERA). In 2010, he’s only been a reliever. We all know how that’s been going (5.95 ERA). Plus, look at all the positive effects his constant role-switch has given the Yankees. Joba battled the bugs in Cleveland back in the ‘07 ALDS and had absolutely nothing to do with the series loss. And last year when the Yanks won it all, it was all because of Joba’s sub-par performance! So there you have it; Joba should be a starter-reliever for the rest of his career. Quite simply, the manager will determine whether the team’s rotation or bullpen is superior, and then stick Joba in whichever area is better to start the year. That way he’ll end the season doing what’s best for the team heading into the postseason. Boom. Case closed. Cash, give me a call if you need an assistant for this year’s trade deadline. Photos originally by Keith Allison and jimmyack205. Through 254 at-bats, Curtis Granderson had seven homers. In his last seven at-bats, he has three. After two solo shots yesterday, Grandy wacked a game-winning two-run homer in the eighth off Jake Westbrook to put Javier Vazquez on the winning end of a 3-2 game. Best of All: It’s about time Granderson’s bat has gotten a jolt. Missing most of May didn’t help, but now it looks like he has some fire in him as he’s riding a six-game hitting streak. Nick Swisher is still hitting over .300, and he hit his 18th homer of the year in the fourth frame. Vazquez put together a quality start after his one bad outing in recent memory. Plus, the bullpen took care of business in the eighth and ninth innings. Worst of All: The Yankees managed only four hits off Westbrook. Brett Gardner is really slumping. He’s fallen from a .319 BA on July 4 to .295 tonight. Where’d the good Gardy go? Coming Up: Game 2 is same time, same place. CC Sabathia on the hill against Josh Tomlin making his major league debut. The Yankees start their week on the road against the lowly Indians after winning six of nine at home to start the second half. The Tribe isn’t playing a lot like the last placed team they are, winning seven of 10 after the All-Star break thus far. Still, even with their hot stretch, the Indians remain 16 games below .500 and 12.5 games out of first in the AL Central. The Yankees took three out of four from the Indians at the end of May, and they did it with offense, offense and a little bit of offense. 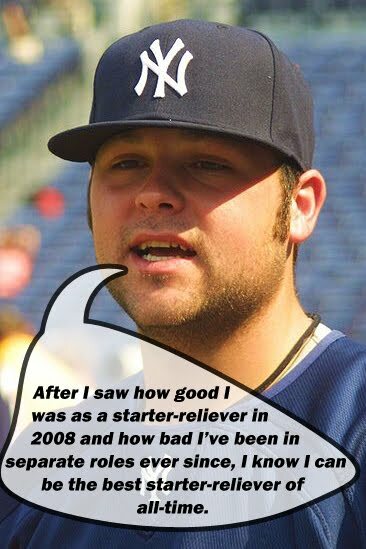 They averaged more than nine runs per game and the only loss came at the hands of Joba Chamberlain. Dustin Moseley (0-0, 4.22) is taking Mitre’s spot start Thursday. Yankees: Alex Rodriguez. He’s sitting on 599 homers. Everyone going to these games in Cleveland are there for one reason: To see A-Rod’s 600th. Indians: Trevor Crowe. He has led the Indians’ charge in the second half with his .343/.410/.571 hitting line. Also, if I’m remembering this right, Crowe made a sensational grab in center back in May at a game I attended. This doesn’t seem fair. The Yankees are in an easy part of their schedule, but are playing teams that are overachieving. The Indians were supposed to be a breeze, but now I see they’re hot and I’m having some doubts. I’ll be happy with a series split but don’t be surprised if Josh Tomlin throws eight shutout innings in his major league debut tomorrow night and the Indians sweep. The fans voted the Yankees need to upgrade their bullpen more than any other part of the team. More than three-quarters of the votes when toward helping the bullpen, while starting pitching received the second-most votes. I’m going to take a wild guess and say that Joba Chamberlain’s awful performances recently factored into the voting last week. In his past five outings he’s allowed runs in four of them, inflating his ERA near 6.00. He has lost what he had in 2007 and is starting to resemble Kyle Farnsworth’s run with the Yankees — not good. Joba’s Replacement? There isn’t a boatload of talent for relievers at the deadline, but the most likely option thus far is lefty Scott Downs of Toronto. Where’d All the Starters Go? For those who still think the Yankees may go after a starter, I’d like to inform you that the two biggest stars already are off the market. The Yankees were close with Cliff Lee, but now Dan Haren is gone too. That leaves Roy Oswalt as the best available, and not many teams are interested in picking up his contract. The fact is, the Yankees usually strive for the best available, and this year that isn’t an option anymore. Jon Heyman reported yesterday the Yankees like Ted LIlly, but he’s about all that’s left on the market. My Overall Take: I agree with the voting, except the Yankees also need to add a player to the bench. I’m almost certain it’s going to happen, along with a reliever, but it’s all about the quality at this point. New Poll: Can the Yankees win the World Series without Cliff Lee or Dan Haren? The Yankees won the second game of their four-game series with the Royals on Friday night, and they did it in spite of the rain. After an 85-minute rain delay, the Yankees completed all nine innings in a 7-1 pounding of the Royals. Instead of Alex Rodriguez hitting his historic 600th home run, fans witnessed Jorge Posada’s 1,000th RBI in the first inning. Best of All: A-Rod didn’t get the homer, but he’s not slumping. He had two hits, scored once and walked. Robinson Cano added three RBIs and two hits to his MVP season. Worst of All: Just as A.J. Burnett was finding a rhythm, the rain shortened his start to five innings. It was good enough for the win, but it would’ve been nice to see him go eight shutout innings. Coming Up: The Yankees have two day games scheduled for the weekend, and in all likelihood, I will be attending both! Today, I have outrageously good seats (check back later to find out how good) and I’ll be at the stadium Sunday just in case A-Rod hasn’t hit No. 600. Check out the blog during the game for my live updates and after the game for photos, videos and more! I asked my Twitter followers if they would be for or against a plan to put Phil Hughes in the bullpen after Andy Pettitte returns from injury if the Yankees added another starter at the deadline. By the way, Fox Sports is reporting the Yankees look like the front-runners to land Dan Haren. Now, I know what happened last time and I know some are still recovering, but I’m going to keep an eye out on this deal just to be safe. Consensus: 83% would be OK with putting Hughes in the bullpen, while only @bitty_boop stood up for Hughes. See her proposal below. Blog Comment: I would like to highlight the comment Zanath, author of Ballcraft, made on my original blog post. He gave a detailed response and made a few nice points. I would only agree with putting Phil Hughes in the pen after he reaches his innings limit. If Pettitte is indeed out until September, then I could see putting him in the pen sometime in that month. I really think the Yanks screwed up with Joba big time, with the to the bullpen and back stuff. Phil Hughes should be a starter until he reaches that limit. That said, I do think the Yanks need to get a starter. I really don't know if they can win the division with Mitre as a third starter. I could be wrong, but I just don't think it's possible, especially with the way the pitching has been after the break. Feel free to counter Zanath in the comments or on Twitter. My Take: I’m surprised at how many people agree with the idea of putting Hughes in the bullpen. I haven’t even conceded the idea that Hughes could be one of the 3-4 starters in the postseason depending on who is healthy.